Men and women differ in the purposes for which they need and use energy and in their levels of access. Ensur- ing equitable development outcomes of energy interven- tions necessitates factoring in these differences. This paper explores the linkages between gender, energy, and poverty and the empirical evidence on these linkages— with an emphasis on electricity and cooking energy. 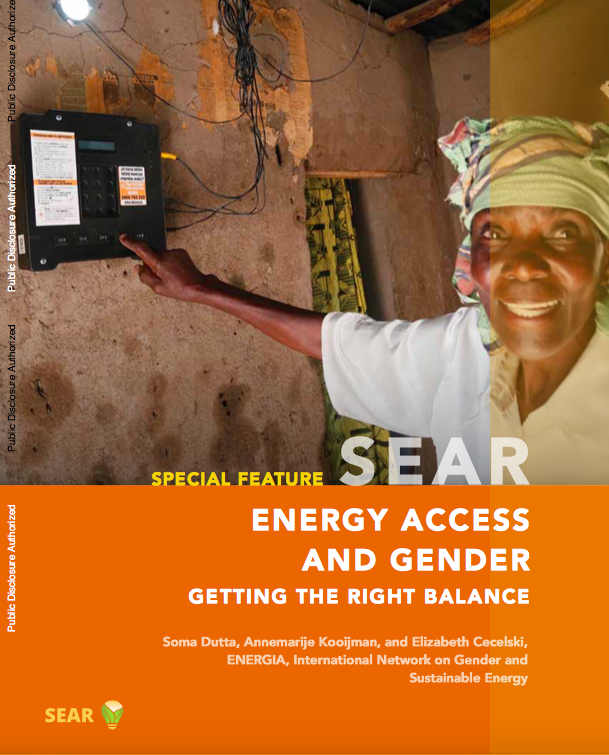 It also reviews global experience on what strategies and approaches have been employed to integrate a gender perspective in energy, what results have been achieved, and good practices and lessons learned.